We have 1 units of the SD/MicroSD Memory Card (8 GB SDHC) in stock at our Sydney warehouse. Add mega-storage in a jiffy using this 8 GB class 4 micro-SD card. It comes with a SD adapter so you can use it with any of our shields or adapters. Preformatted to FAT so it works out of the box with our projects. Tested and works great with our Wave shield, Data logger shield and GPS shield, and micro-SD adapter as well as any other device in the Adafruit shop that uses (micro)-SD cards! Please note! This is an SDHC card, and may not work with very old projects or products that only support SD cards. 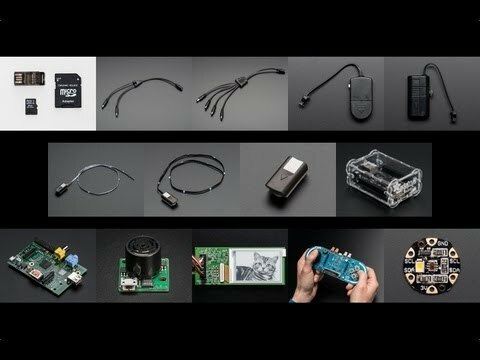 All of the Adafruit projects and products use SD/HC-compatible code. Make sure you can use this card before purchasing for non-Adafruit products. The brand itself may vary but we use only quality name-brand from reputable suppliers.